"Should we go after him?" Jonghyun asked - mostly just feeling ashamed with himself. He should have listened to Key. "Maybe he deserves an explanation," Key muttered, drying off his hair with a towel. Jonghyun sat on the end of their single bed, contemplating his options. "Later?" he proposed, not wanting to waste one of his few days in London fussing over something that seemed so minor to him. 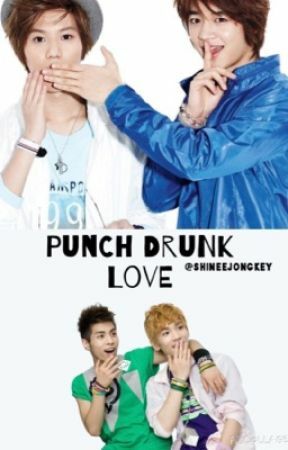 He felt selfish, but Key nodded before finishing up his hair and kissing Jonghyun on the cheek. "What do you want to do today, then?" Key asked, walking back into the bathroom to start on his makeup. "And please don&apos;t say..."
"Museums!" Jonghyun finished Key&apos;s sentence for him, smiling cheekily. "I want to go visit museums and go sight seeing." "Boring," Key laughed, though Jonghyun could tell he was rolling his eyes. "But okay, sure." Jonghyun clapped in approval, joining his boyfriend in the bathroom. All the worries about Onew had completely disappeared; right then, he was just content with spending the day with Key. "We&apos;re shopping and eating fish and chips for the rest of the week, though." "Anything for you, Kibum," Jonghyun replied in a sickly sweet voice, brushing a piece of Key&apos;s hair away from his face as he applied eyeliner. "Even fish and chips." Key smiled as if he knew that was what Jonghyun would say. "Of course." Jonghyun sighed, watching as Key perfected his face and his hair. "Hurry up, you&apos;re taking forever," Jonghyun whined, leaning back on his heels and crossing his arms. "We&apos;re going to run out of daylight." "Ah, but London is best during the night," Key responded, turning away from the mirror with a flourish. "Shall we?" He gestured towards the door of their hotel room. "We&apos;ll come back for our suitcases later today," he added as he saw Jonghyun&apos;s glances towards their room. "Onew can manage with a messy room for a few hours." Jonghyun nodded, smiling as he grabbed Key&apos;s hand and pulling him down the corridor to the elevator. "So many landmarks to visit, so little time!" Jonghyun laughed, hugging Key&apos;s waist as he just moaned about how much his feet were going to hurt from all the walking. "You&apos;re not allowed to drag me to strange places now that we&apos;re not in our home country," Minho sighed as he found himself in yet another unfamiliar place. But then again, it was London - he wasn&apos;t familiar with many places here. "But I&apos;m trying to be spontaneous! Don&apos;t let me ruin it for you," Taemin replied, walking through tall gates that surrounded vast fields of flowers and trees. The air was chill and made the leaves rustle. It was a comforting sound. "Besides, I think you do actually know this place. I mean... I think I got the location right." 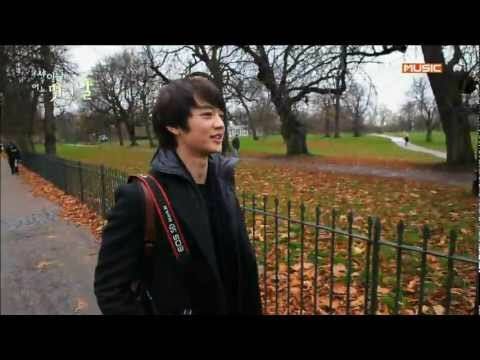 Minho scanned the area, before gasping as he realised where he was: Hyde Park. "Yahh! I&apos;ve been here before!" he exclaimed, remembering his last holiday to London. "Though it&apos;s much nicer now that you&apos;re with me," he added, gripping Taemin&apos;s hand tighter. "It&apos;s not so lonely." Taemin nodded: "You&apos;ll never be lonely when I&apos;m with you." After a good half an hour of exploring the park, Minho pulled out his phone and held it out away from him. "Let&apos;s take some pictures and videos of us together. I want to remember this forever." Taemin glanced cautiously as the phone, a worried frown on his face. "But what about the last time we took pictures together..." he trailed off though, not wanting to think about it. Minho rolled his eyes, surprised that Taemin was now the one that was being cautious. "I&apos;m not going to lose my phone. Besides, we don&apos;t have to be kissing for them." Taemin giggled, relaxing a little. "But those ones are always the best ones." Minho raised an eyebrow and motioned for Taemin to join him. They cuddled up against each other grinning as Minho tapped his phone and took a few pictures. Taemin leaned over to kiss Minho&apos;s cheek, and he took a few more. "Perfect." Minho looked back over the pictures. The background of autumn leaves and green grass was stunning. "I&apos;ll frame these," he laughed. "That&apos;s such a bad idea," Taemin replied, linking his arm with his boyfriend&apos;s and continuing to walk through the park. "But yes, you should frame them." Taemin rested his head against Minho&apos;s shoulder, enjoying the scenery and Minho&apos;s smile as he held out his phone and took short video clips of his surroundings. "I&apos;m going to edit this into a short film when I get back home again." "You&apos;re good at stuff like that," Taemin replied. "But for now, let&apos;s get something to eat. It&apos;s almost lunch time." Minho nodded in agreement and began to inform Taemin of all the great restaurants he visited last time he was in London. Taemin just sighed and let him give him a lecture on all the foods, just glad that they were here and still together than in Korea and split up.